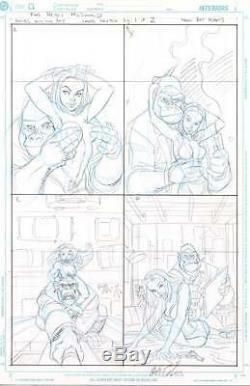 ARTHUR ADAMS ORIGINAL COMIC ART ANGEL AND THE APE FOUR COVER PRELIM DESIGNS. 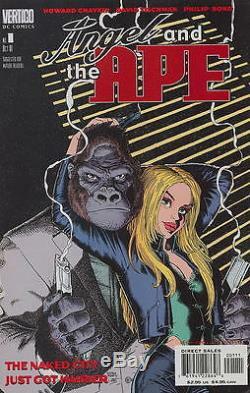 Some cover designs Art Adams did for a one shot comic Angel and the Ape. One of these designs was used for the actual cover to the book. Art measures 17 inches x 11 inches on DC bristol board. Art is also signed at the bottom in pencil. The item "ARTHUR ADAMS ORIGINAL COMIC ART ANGEL AND THE APE FOUR COVER PRELIM DESIGNS" is in sale since Tuesday, July 25, 2017. This item is in the category "Collectibles\Comics\Original Comic Art\Other Original Comic Art". The seller is "reedcomics" and is located in Bedford. This item can be shipped to North, South, or Latin America, all countries in Europe, all countries in continental Asia, Australia.